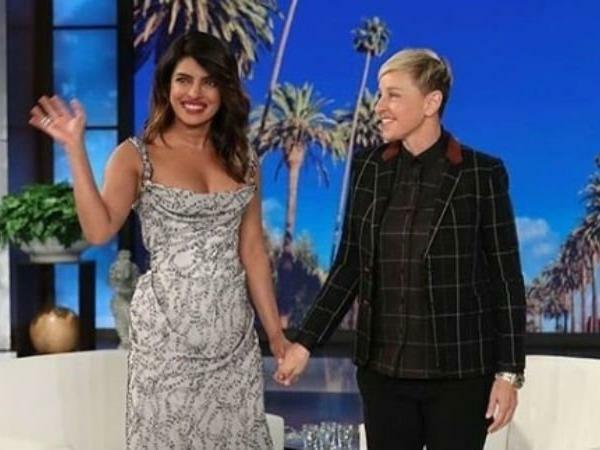 Web Desk: Bollywood and Hollywood actress Priyanka Chopra has created buzz with her recent presence on The Ellen DeGeneres Show. In the interview, she shared many lesser-known facts. From not inviting Ellen to the events to her upcoming production. Have a look at the 5 things she shared. Why Ellen was not invited to their wedding? According to the Baywatch star, an invite was sent out to the talk show host but she never responded to it. “We were so offended that you didn’t even respond to our invite though,” Priyanka said to Ellen. She shared that her mother Madhu was not happy with the idea of having just 200 guests at her three-day wedding. “For an Indian family and an Indian wedding, it was small for sure. My mother was so upset with me the whole time. She was like, ‘I need to have another event for the other 150,000 people that I know! How can I not invite my jeweller? How can I not invite my hairdresser?’ So it was a whole conversation,” Priyanka joked. She is developing a feature film based on hit Netflix docu-series Wild Wild Country. Not only will Priyanka star as the Indian guru Bhagwan Rajneesh’s (also known as Osho) assistant Ma Anand Sheela, she will also be producing it.